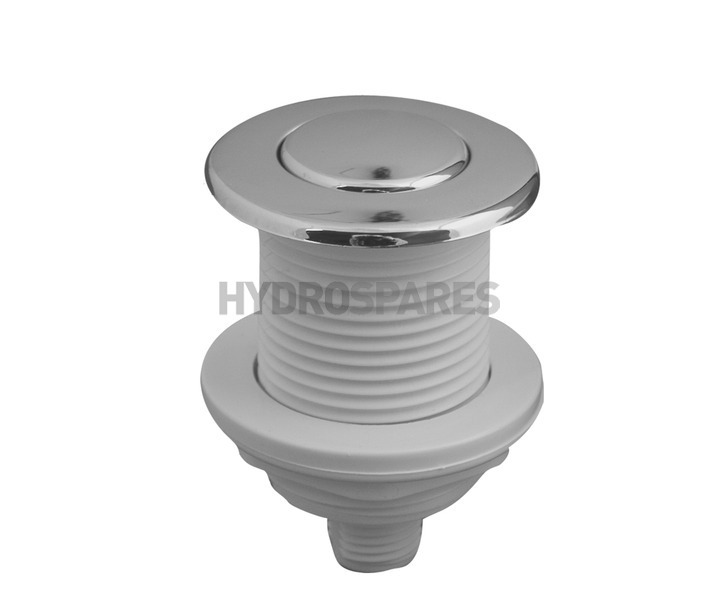 Pneumatic on/off air button from Hydroair - 45mmØ. Ideal for use on whirlpool baths, air spas and hot tubs. Having been told by bath company 3 years ago there was nothing they could do I managed without one until a boiler man came out to fix boiler 2 weeks ago and he found hydrospares on internet and located a replacement air button. I bought it and it was delivered within 2 days. Fitted within 10 mins due to relocation and works perfectly. I now have my spa bath running after all this time. Can't believe bath company not being very helpful. Glad to hear you're up and running again, and good to hear your boiler man is on the ball and that he was aware of and recommended Hydrospares - Happy Days. Great advice given via website, super fast delivery - works perfectly. A great company to do business with. Recommended. Hi Dave, many thanks for your review, happy we could help. Replacement for original Jacuzzi switch where pips had fallen off and couldn't get the old one off. Drilled neat 35mm hole t end of bath and new one fits beautifully. Nice flush chrome finish. Delivered by Royal Mail next day and Jacuzzi works one more. Thank you for your review Eric Pearson! Excellent service. Replacement for old pneumatic switch fits well and chrome finish looks good. Excellent replacement for original Jacuzzi pneumatic button. Low profile is a real advantage.